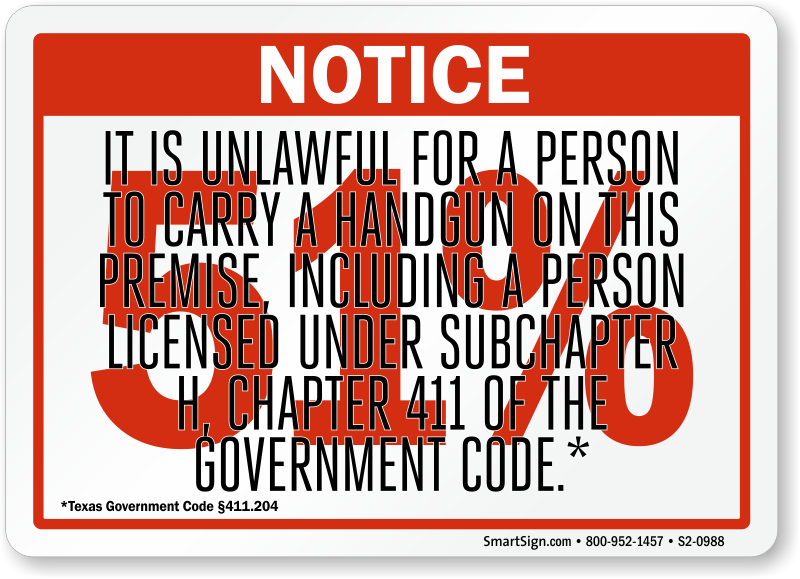 Post this sign to keep your establishment gun free. 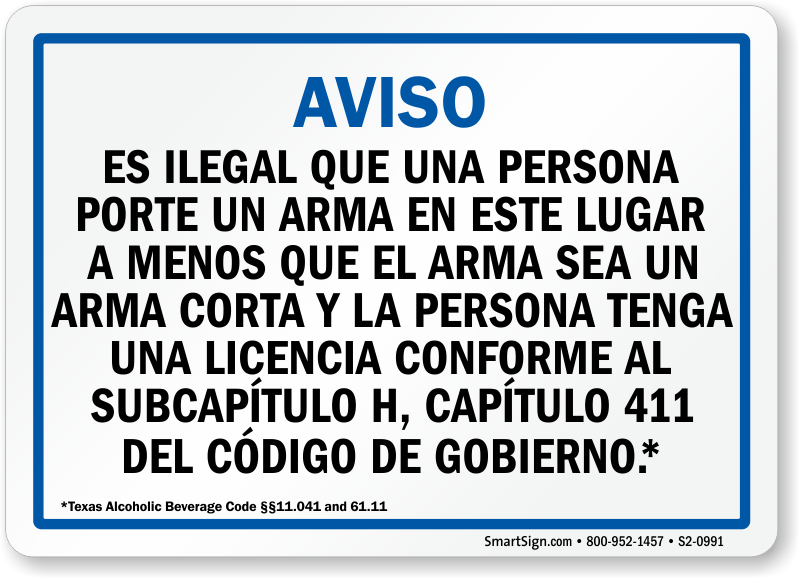 Signs are required when alcohol sales are a majority of your total revenue, 51% or more. 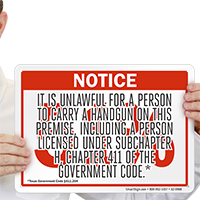 • With these signs handguns are banned outright. 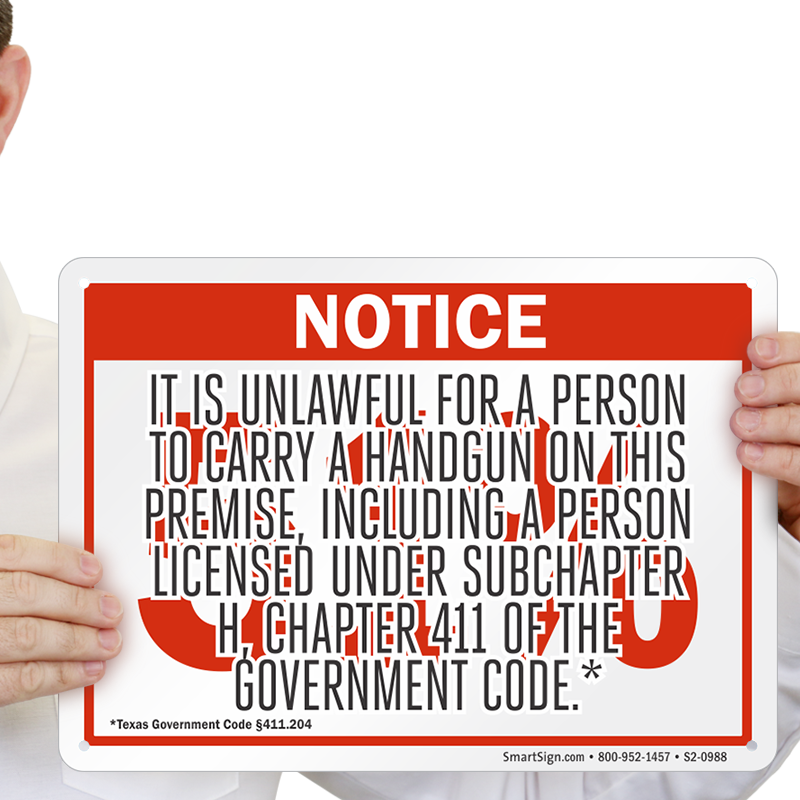 The possession of a concealed weapon becomes a felony. 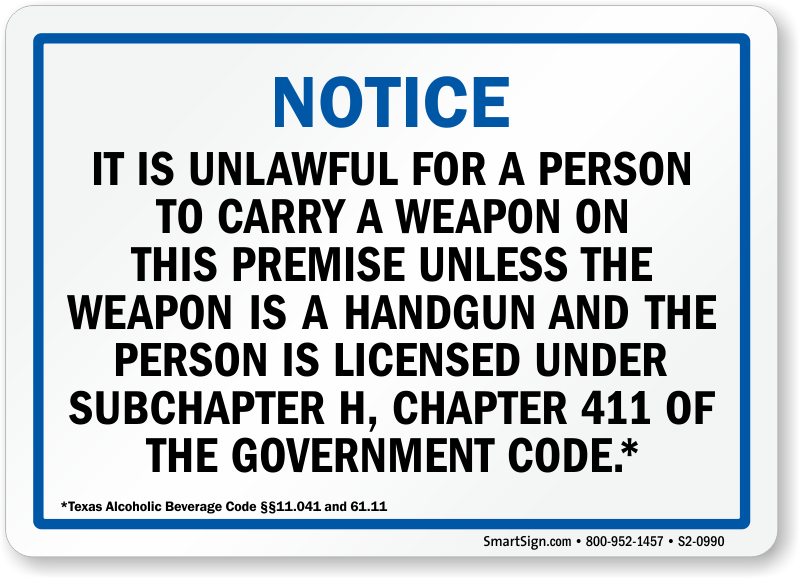 • Notice required to be posted by the Alcoholic Beverage Commission banning weapons. 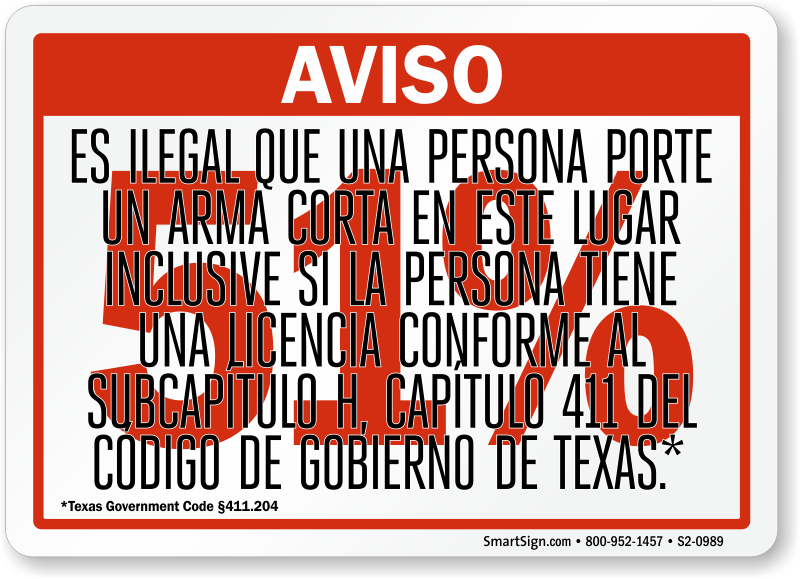 • Compliant to Texas Government Code § 411.204. 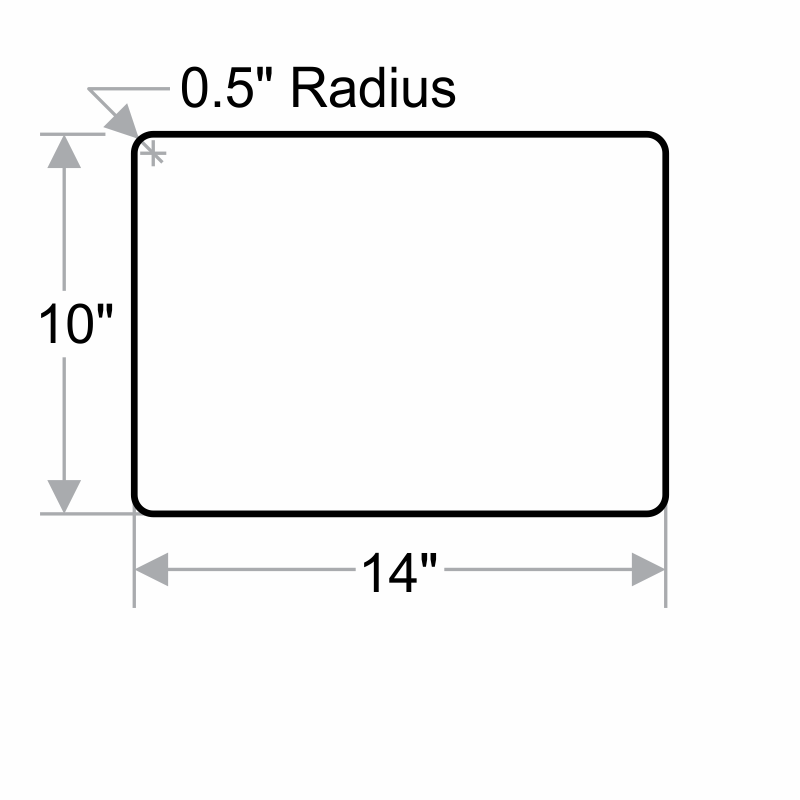 • Have alot of Spanish speaking customers? 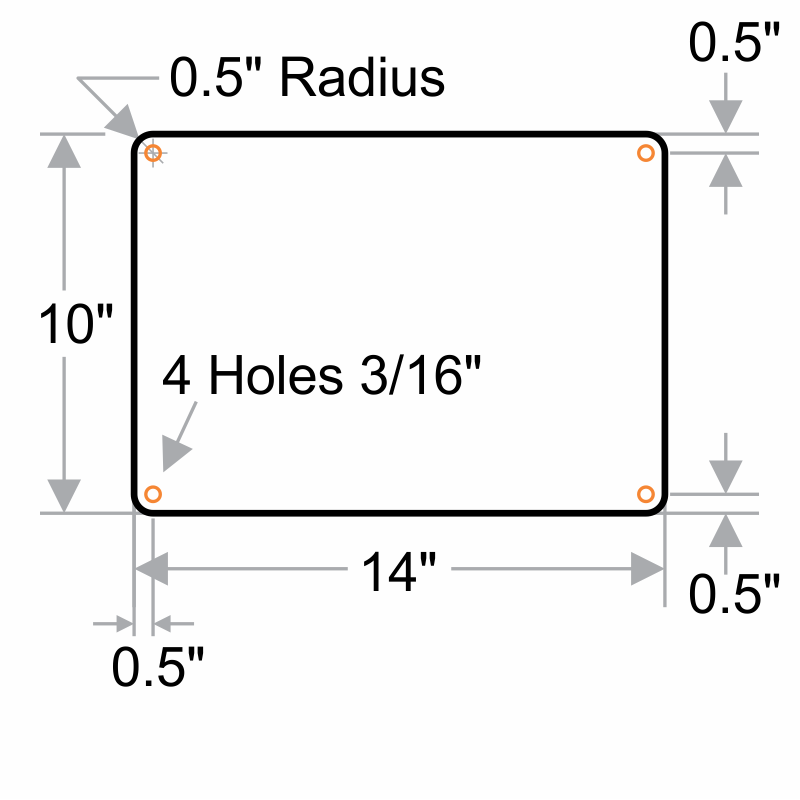 Pick up our Spanish 51% Sign to stay compliant with code.